Fruitless Pursuits: FPcast! The Fruitless Pursuits Podcast for July 15th 2014! Sestosterone! FPcast! The Fruitless Pursuits Podcast for July 15th 2014! Sestosterone! 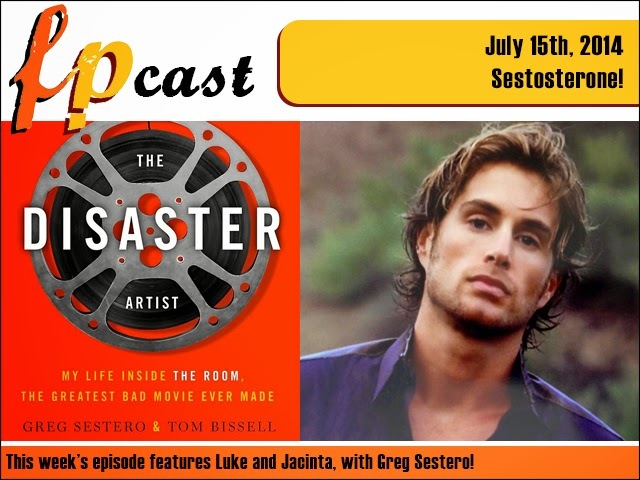 In the interest of reaching as many people as possible, this week's episode also includes our 20 minute chat with Greg Sestero, best known as Mark in the awful/wonderful cult classic The Room, and author of the riveting behind-the-scenes tell-all, The Disaster Artist: My Life Inside The Room, The Greatest Bad Movie Ever Made. Plus we review the monkey madness of Dawn of the Planet of the Apes, and agent Courtney Coulson joins Luke for a chat about the first season of Penny Dreadful. This is what your ears have been craving for!